Dr. Ami N. Erickson teaches plant sciences, biology and microbiology courses at Sheridan College. She is passionate about horticulture, teaching and science and looks for creative ways to engage students in their own learning. Dr. Erickson is active in research and encourages students to become involved in her research projects. She is currently collaborating with University of Wyoming scientists, examining the effects of water and salt stress on plant physiology and the root microbiome. She is an advocate for local food initiatives and serves on the Sheridan Farmers’ Market Advisory Committee and the Wyoming Farmers’ Marketing Association. She has received a specialty crop grant from the Wyoming Department of Agriculture to install an orchard on the Sheridan College campus. The orchard has fruit trees and shrubs and can be visited on the south side of the Mars Ag Center. 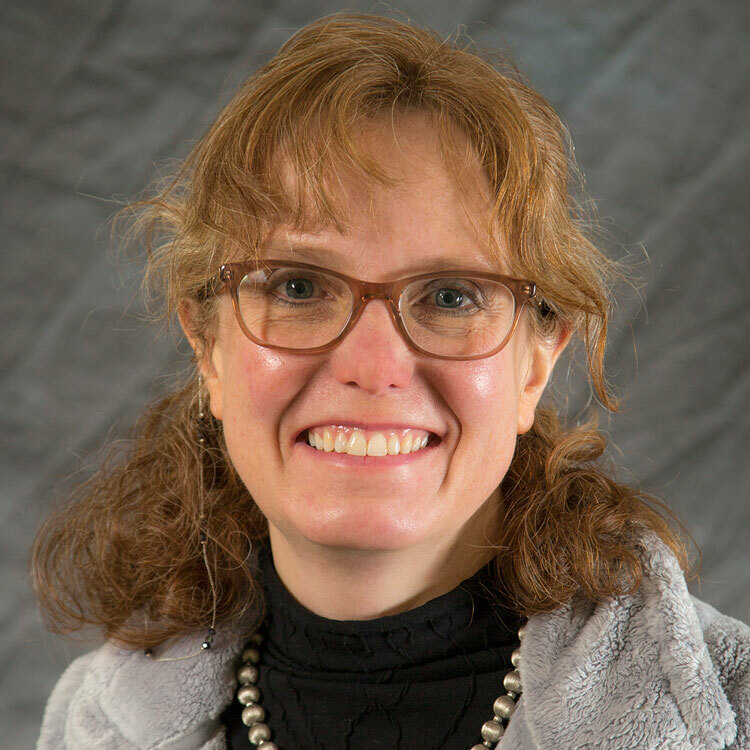 Dr. Erickson is a member of Leadership Wyoming, the American Society of Horticultural Scientists, the Botanical Society of America, and the Big Horn Native Plant Society. When not at Sheridan College or involved in community activities, Dr. Erickson spends time with her husband, Dr. Christian Erickson and their dogs and cat. She is also a fabric artist, avid gardener, novice musician, and marathon runner.